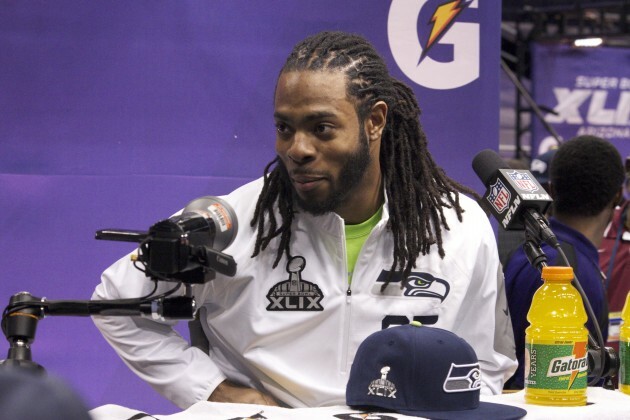 If you aren’t already familiar with NFL player Richard Sherman, he’s the guy that screamed and ranted on live TV that he was the best player at his position in football and that opposing teams shouldn’t waste time by testing him with ‘sorry’ players. On the flip-side there’s the seemingly shy and sometimes awkward NASCAR driver Dale Earnhardt Jr. He’s a guy that is so laid back it’s hard for him to lose his cool even after somebody wrecks his car. So what’s the connection between them? The two professional athletes engaged in a minor Twitter beef on June 15th that started with Richard Sherman basically saying that football players are the most mentally focused sport players in the world. I’m more convinced than ever that NO athletes have to be more mentally prepared than football players. Back me up 12’s! For whatever reason, Earnhardt Jr. took exception to Sherman’s statement and fired back with a Tweet of his own. They may both actually be wrong. An article published by ESPN ranks boxing as the most difficult sport in the world. Football came in third and auto-racing finished a distant 32nd. These judgments were made by a “panel of experts”, which consisted of sport scientists from the US Olympic Committee, academicians that study muscles of the human body, and journalists that have spent their entire adult lives covering sports. It seems like the driver of the No. 88 Chevrolet has moved on from Sherman’s tweet and on to better things, as Earnhardt Jr. recently proposed to his girlfriend Amy Reimann. Even Richard Sherman can’t hate on that.